Bringing your fairytale dreams to life is our specialty! 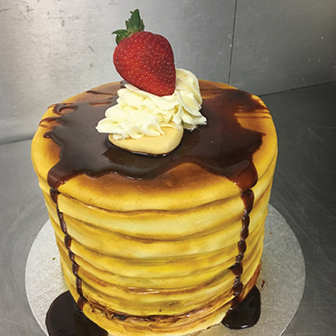 We are pleased to offer a wide variety of personalized cakes and pastries for all occasions and would love to help make your big event even more special with a customized order. 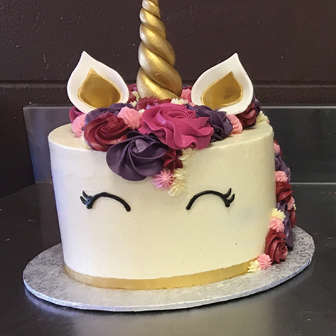 A basic 9" sponge cake with buttercream icing covered in fondant/marzipan and decorated in a theme of your choosing starts at $75.  This is the base cost for a simple three-dimensional cake. All of our cake flavours and fillings are listed below under Wedding Cakes. Basic cupcakes are $2.50 each for large and $1.50 each for small. 12-pack of small cupcakes is $18. 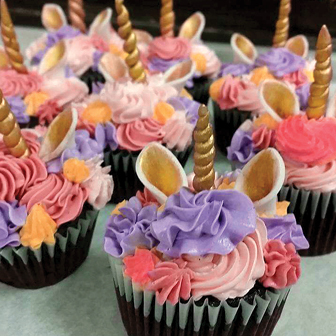 Custom cupcakes begin at $2.75 each for large and $1.75 each for small. One 6-pack of large or 12-pack of small custom cupcakes begins at $22. 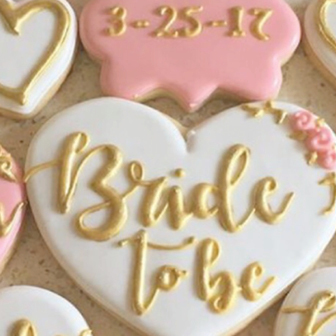 Custom cookies start at $3 each. The more complicated and time-consuming the theme, the higher the cost. Please consult with us in store for more accurate pricing. 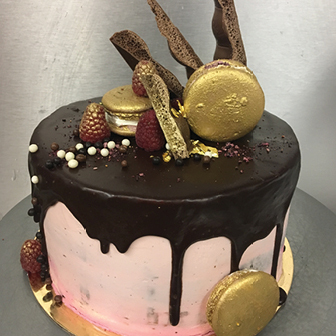 Hansel and Gretel Bakery is pleased to offer cake tasting consultations to help you design your perfect cake! Let us help you make this step easy and memorable. Call or email us today to book your consultation! 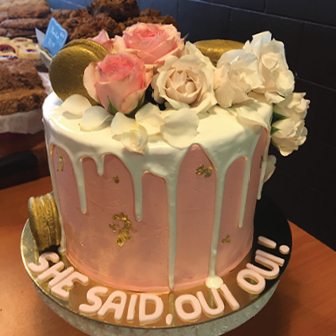 Our consultations are approximately 45 minutes, and cost $30 for up to four people (includes coffee/tea and a sampling of our delicious cake, icing, frosting, and filling options) – additional guests are welcome at a cost of $10/person. 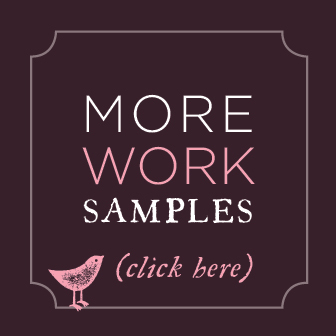 Please bring along any pictures or color swatches, and let us know ahead of time if there are any specialty flavours you are interested in sampling or if there are any allergies or preferences to consider. We are open to accommodating most flavor suggestions. 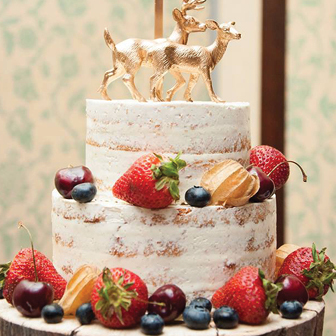 Most cakes can be altered to include gluten free, vegan, or dairy-free. Wedding cakes booked are 25% down, with the remainder due 30 days from the event. 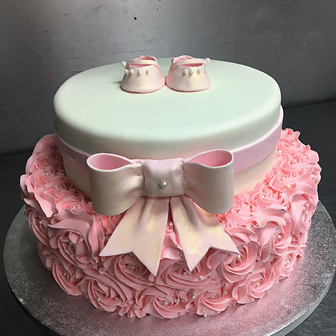 These prices are an example of buttercream covered cakes with ribbon decoration only. 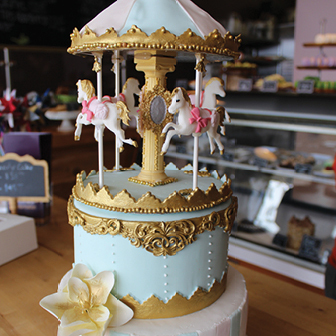 Garnishes, fondant covered and extra embellishments are priced according to degree of difficulty and time required.